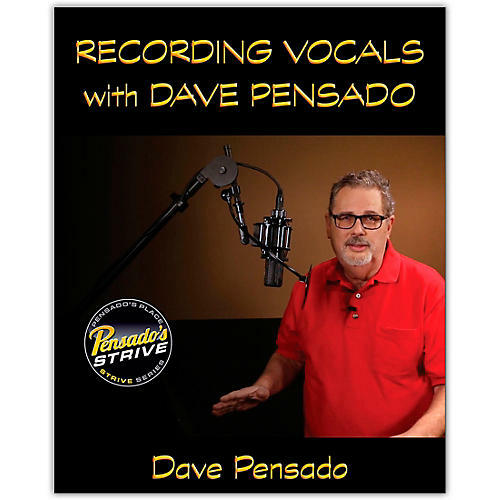 Recording vocals with Dave Pensado is a comprehensive guide to recording great vocals in any studio. hether interested in recording vocals, learning about how microphones work, or fixing and mixing vocals, Dave takes us on an easy-to-follow, deep dive through this course. As part of the Strive series, Recording Vocals with Dave Pensado covers everything one needs to know to make their vocal tracks sound professional. It goes over all the aspects of recording vocals inlcuding how microphones work, the proper setup of mics in a room, preparing vocal sessions and even signal chains. Throughout the course, Dave gives step-by-step instructions and provides indepth footage of his actual recording sessions. Who is Dave Pensado? Dave Pensado is not only one of the recording industry’s preeminent mix engineers, but also the most-watched online teacher of audio in the world. With multiple Grammy nominations and wins under his belt, Dave has had an astounding career. Christina Aguilera, Pink, Shakira, Beyonce, Flo Rida, Afrojack, Frank Ocean, and more are a fraction of the superstars who keep Dave on speed dial. From pop to hip hop, country to Latin, and R&B to alternative, Dave’s special niche is making radio-friendly records while enhancing artistic intent. His online television series, Pensado's Place, is seen in over 150 countries, and over 100 schools use the show as a teaching tool.